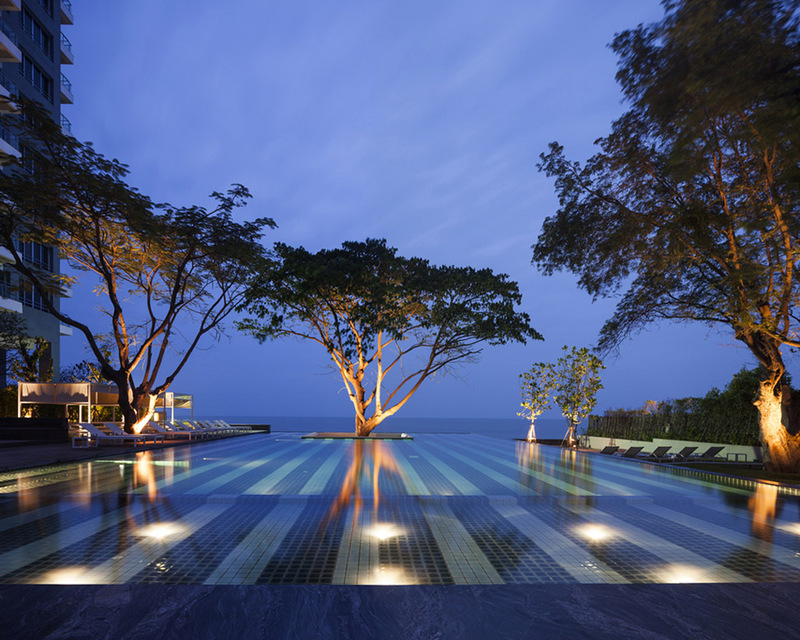 Sanitas Studio was commissioned in 2011 by Sansiri PLC to devise a master plan and landscape design for Baan San Kraam, a residential project on Cha-Am beach, Petchaburi, Thailand. Only 10 per cent of its extensive area borders the beach meaning just two of the 13 buildings have a direct sea view. 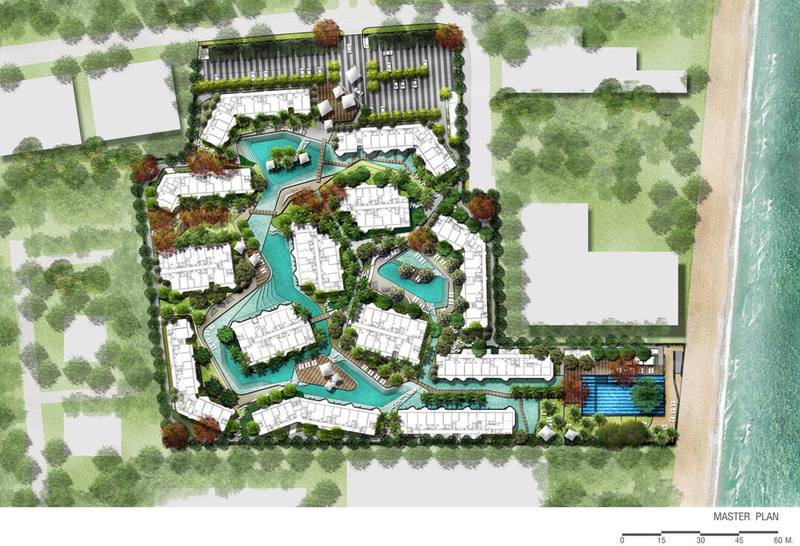 The challenge for Sanitas was to provide a landscape design allowing all residents to feel equally close to the beach. Starting with a nautical nostalgia theme, Sanitas envisaged the land as an abstract form of the ocean. It would contain different elements of islands and seascape such as jungle, villages and a floating house. Seven clusters of buildings were then created with their own unique seascape character. 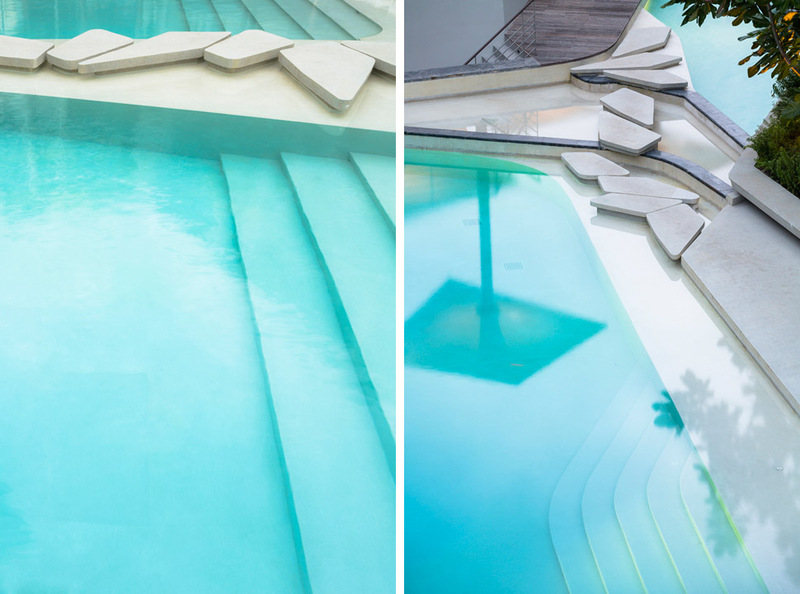 The landscape design is a simple interpretation of the wave typology. 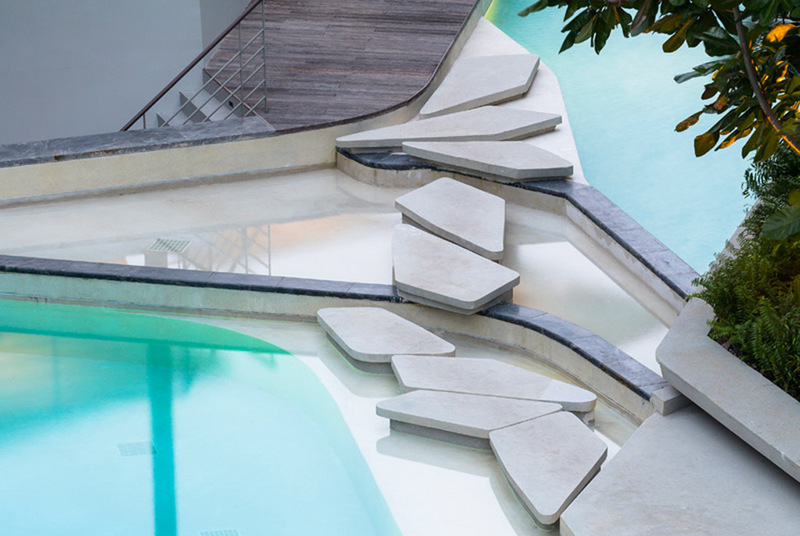 Having studied its form in detail, Sanitas has developed it into three dimensional landscape form.This includes wave seating, stepping stones, rock day beds and a tree house, while water is the landscape’s key element and connects all zones together. 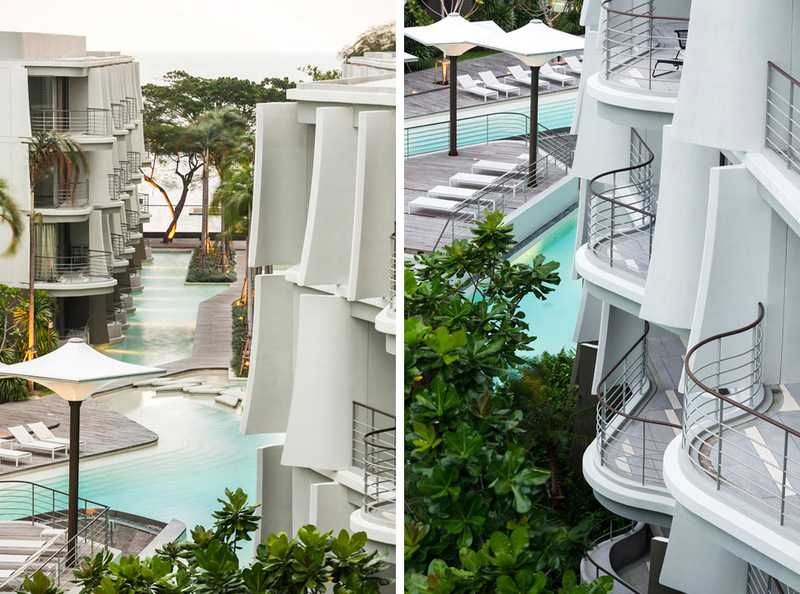 Residents can experience the different character of each area from their arrival at Lobby Beach and then across the water to the Jungle which is surrounded by secluded villages. Local coastal plants enhance the natural beauty of the development and its stunning oceanside concept, while existing trees have been preserved to provide welcome shaded area. Starting with nautical nostalgia, we envisage the land as an abstract form of the ocean. The abstract ocean would contain different characters of islands and seascape; the jungle, the villages, the floating house and the sea tide. This would create different atmosphere for each cluster of buildings. 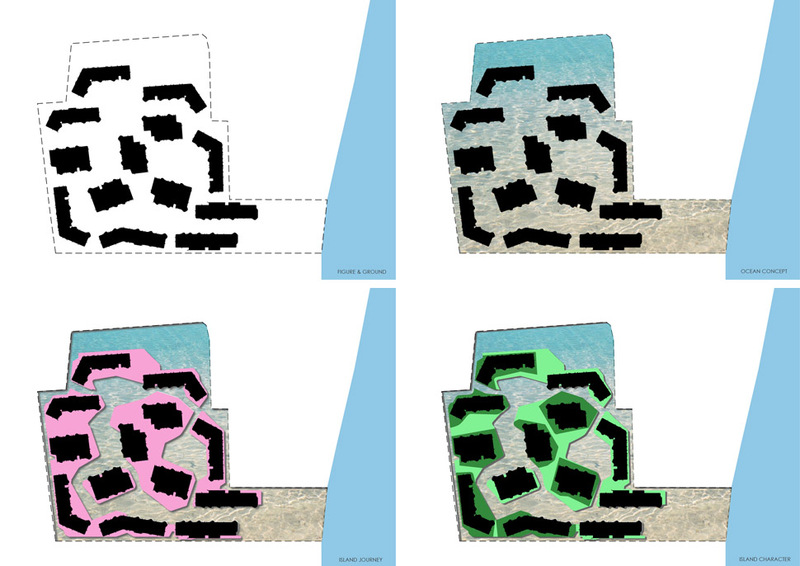 Then we create 7 clusters of building with their own unique seascape character, from Lobby-beach, Fisherman Village, Modern Jungle, Village-tree house, Village-pool, Connecting beach and floating house. dimensionally. 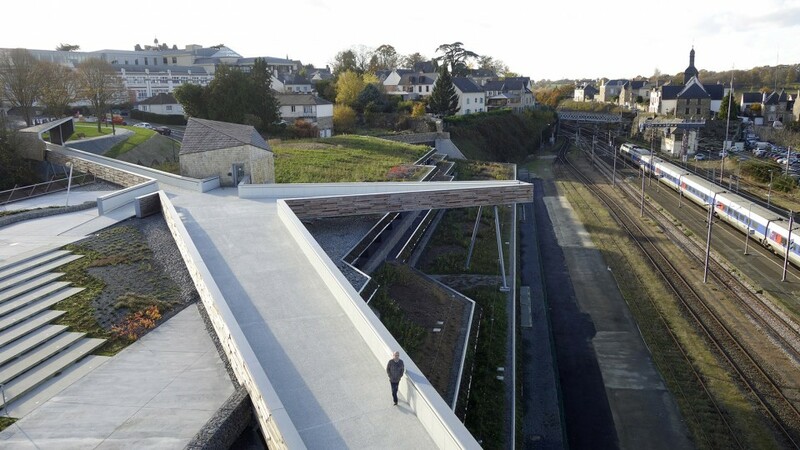 It becomes part of the continuous seating, continuous steps, the retaining wall and planters. 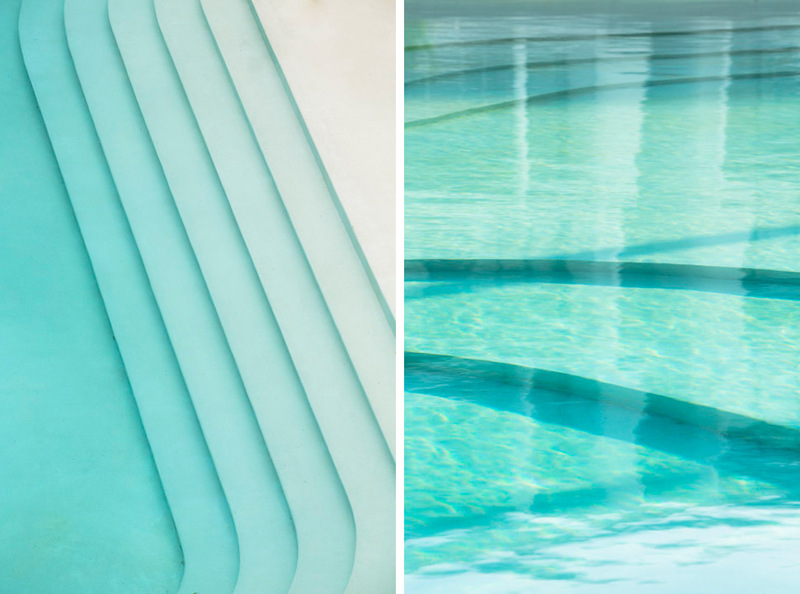 The gradient color of the sea reveals through a gentle contour line underneath the water. 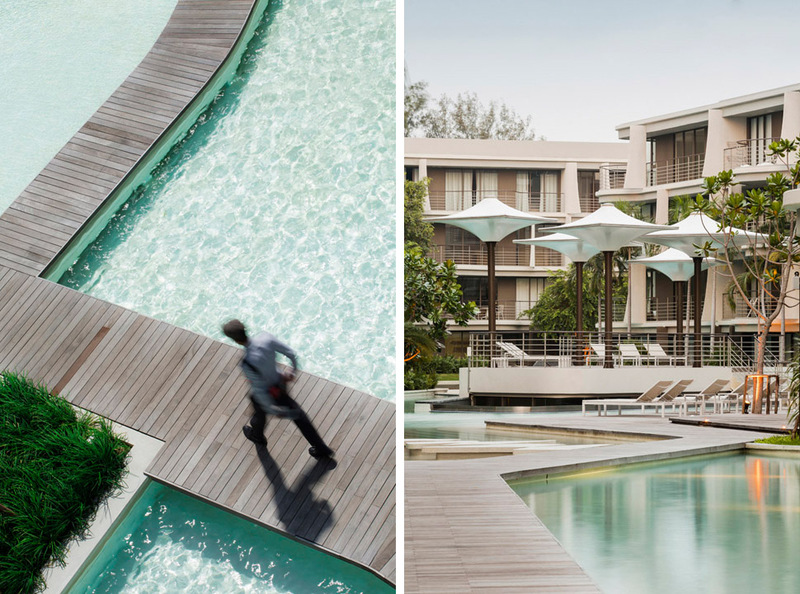 People can experience the different character of each area since arrival, from Lobby beach across the water to the Jungle, which surrounded by secluded villages. 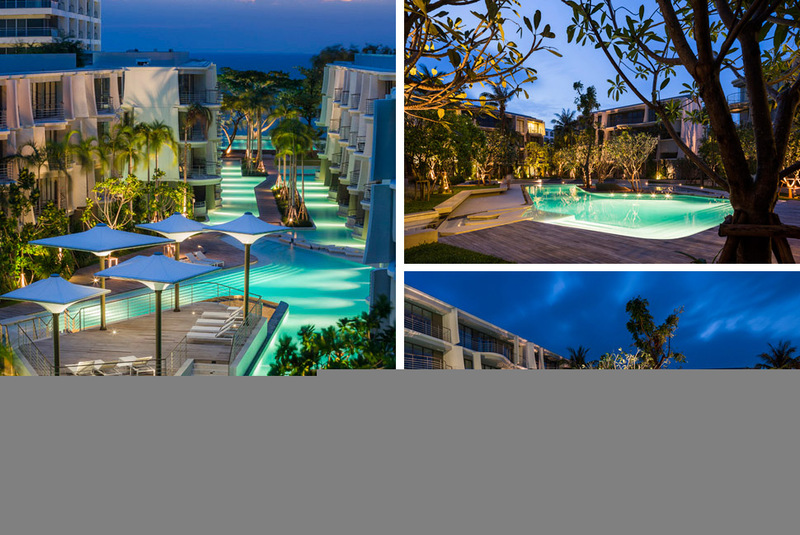 Before arriving on the beach, there was a large swimming pool and sunbathing terraces. seascape, which define a collection of resting areas. From the “ocean” concept, the water body is the key landscape element, which connect all zones together. We studied the natural form of the seascape and interpret it in modern way. 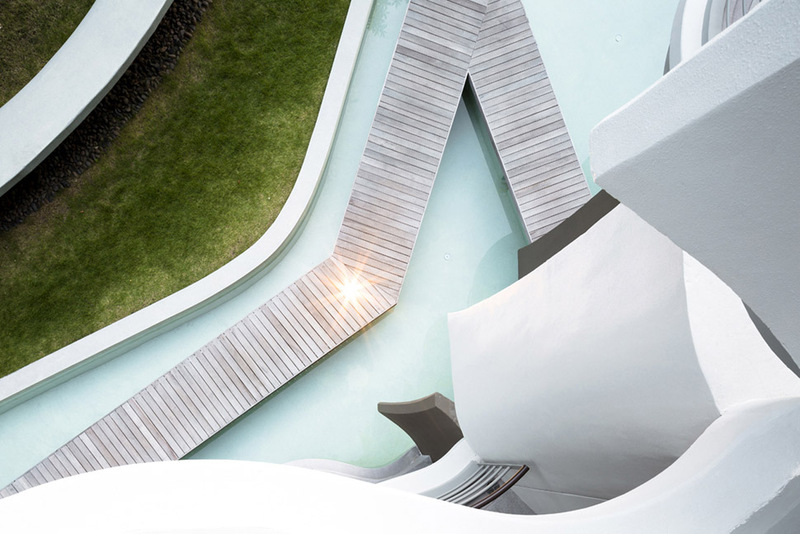 In the overall master plan, the form of landscape is a simplification of topography line of the ocean and use it as the landscapelanguage throughout the whole site. dimensionally. 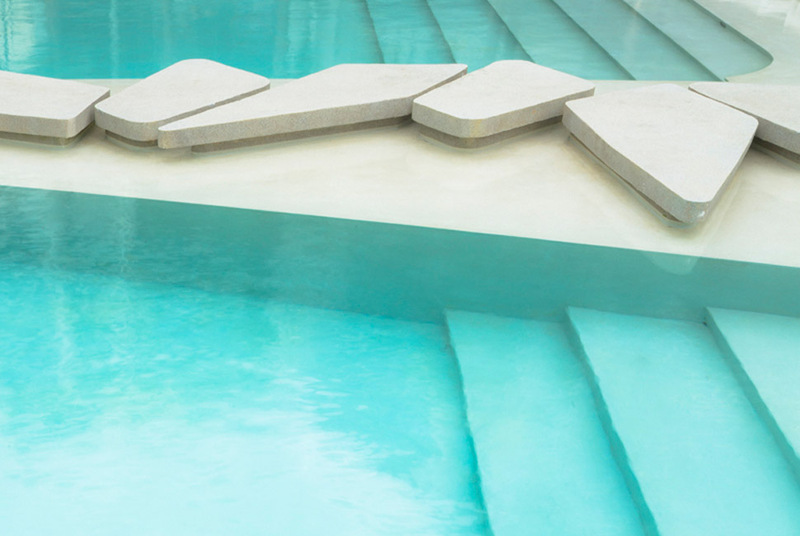 It becomes part of the continuous seating, continuous steps in the water, the retaining wall and planters. 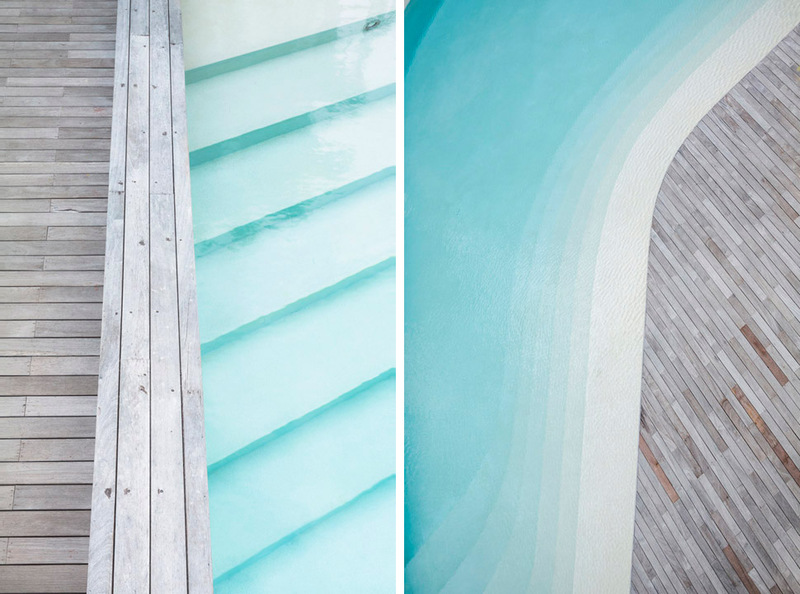 The gradient color of the sea was reveal through a gentle contour line underneath the water. 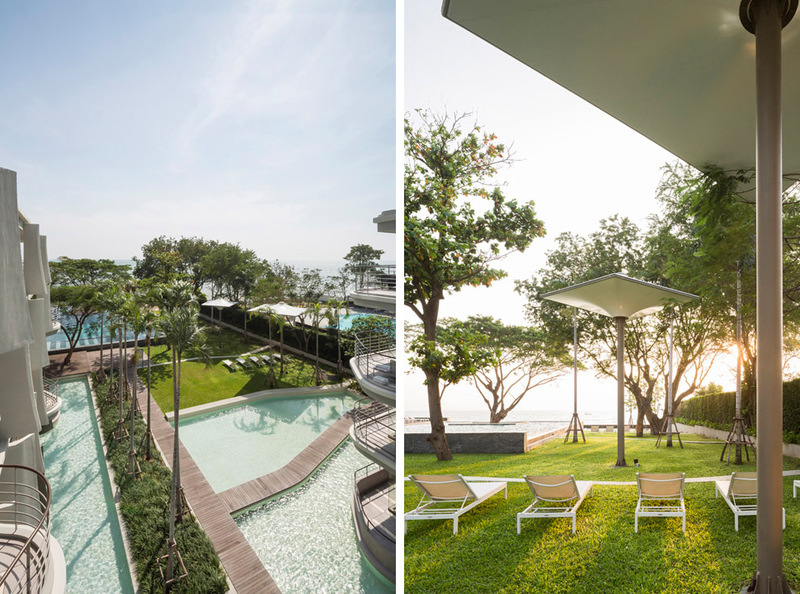 At Baan San Kraam, the “Ocean” concept plays the important role and connects all zones together with one unique landscape language of seascape. 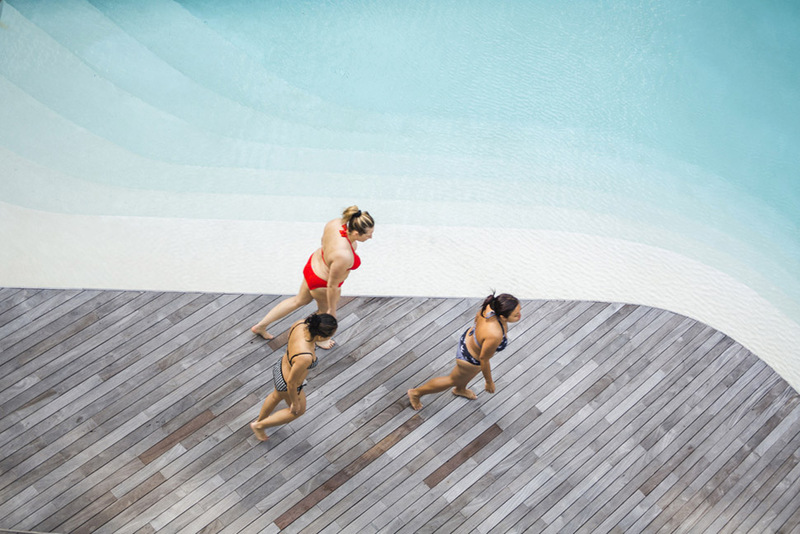 The water body, where all activities are met, is associated with pathway system and sunbathing deck and is partially adjacent to the balconies of some unit so people can connect to the swimming pool directly. 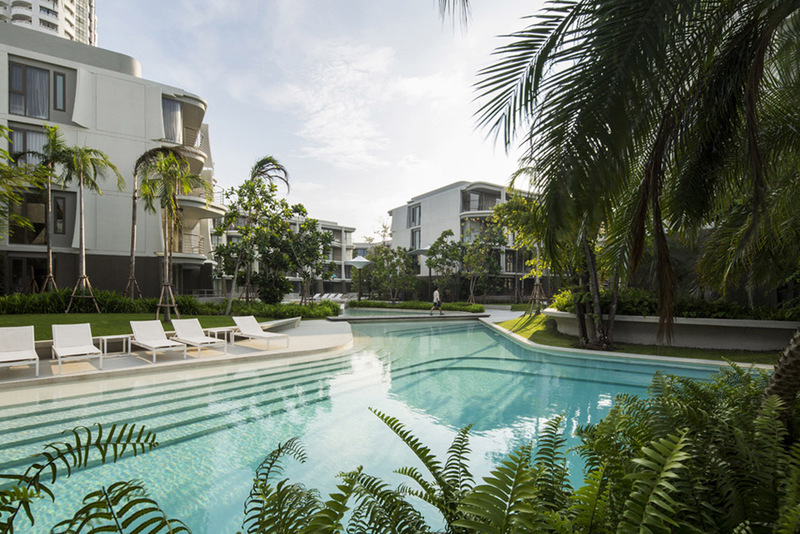 At Baan San Kraam, Sanitas Studio has created a series of rich detailed for each zone, which become its own internal viewand provide a series of outdoor sitting areas, so people can enjoy resting in each unique garden. 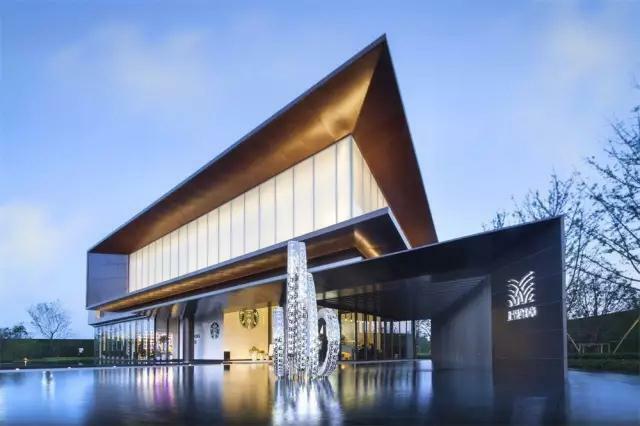 From the front entrance, the residents could arrive on the Lobby-beach with horizontal line of beach scape, across the water to the Jungle with rustic plants and are surrounded by secluded villages. There is a sunken island for Gym room, so people can exercise with a view of water cascade and having sun-bathing on the roof deck. 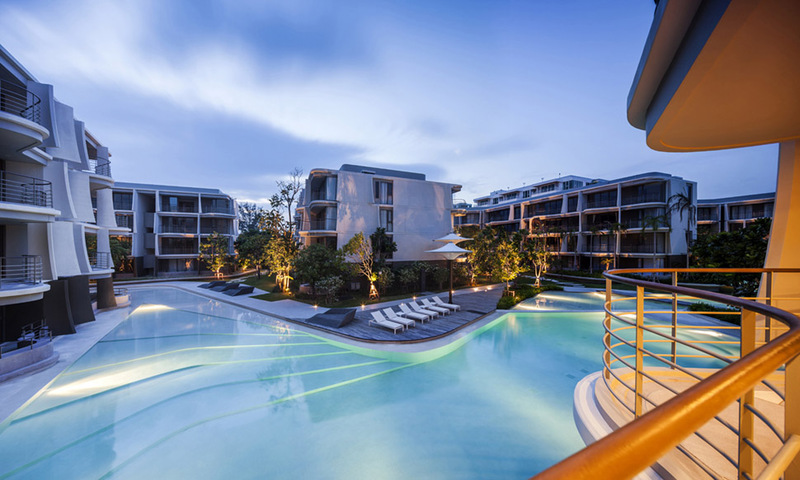 Before arriving on the beach, there was a large swimming pool and sunbathing terraces. 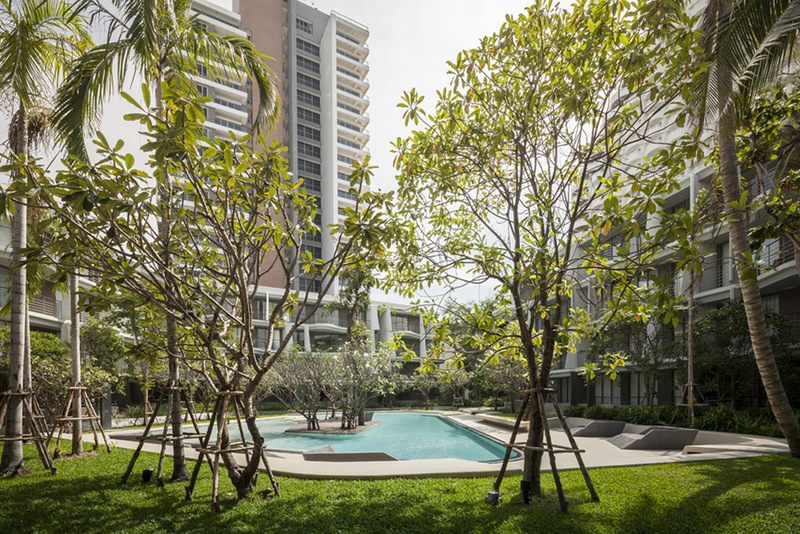 At Baan San Kraam, Softs planting also plays the important roles; nurturing the space, differentiateing characteristic of each zone, providing shade for outdoor function space and decreasing temperature, which is crucial in tropical country. 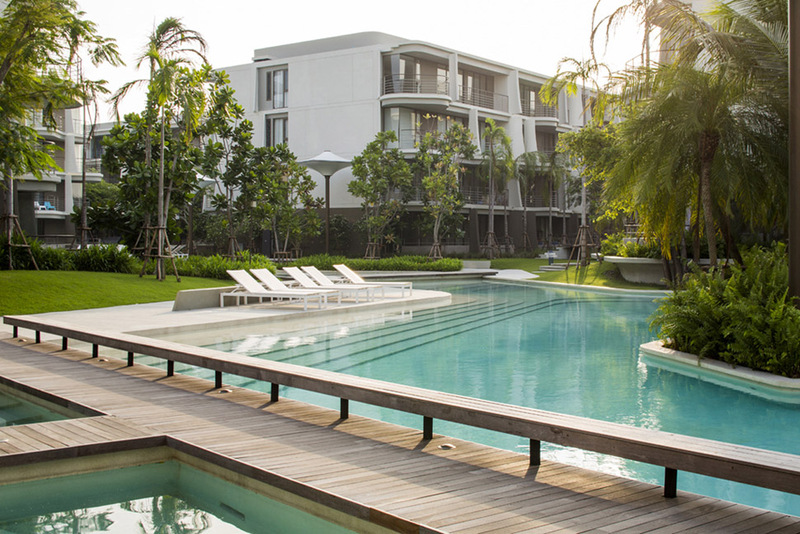 The existing trees have a big impact on landscape’s atmosphere, especially the beach front area, where there are stunningly mature Rain tree, Flame tree and Tamarind tree. 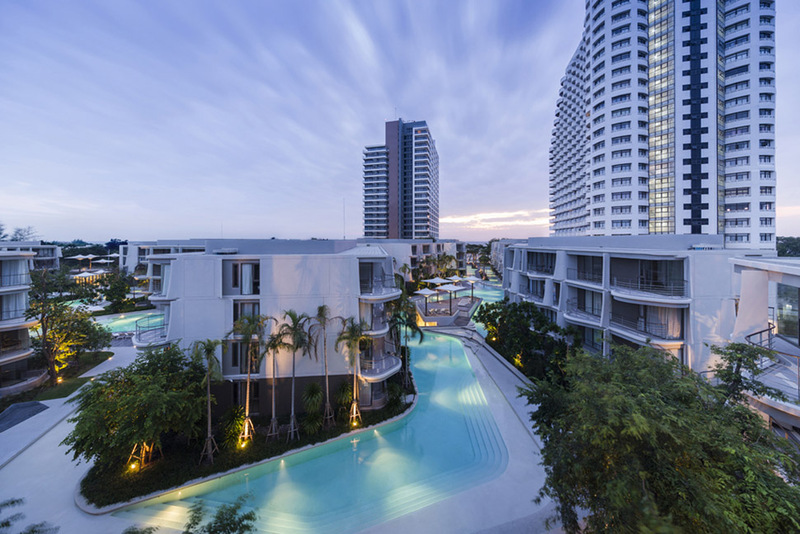 At Baan San Kraam, there is a vehicle access from the street with front parking under trellis structure. After arrival at the lobby, people can choose to walk through the main walk way, which connect to all buildings or use the golf cart-service and access from the service way, which run along the periphery.The parking is located at the entrance area and provide service for mechanical room and garbage room. 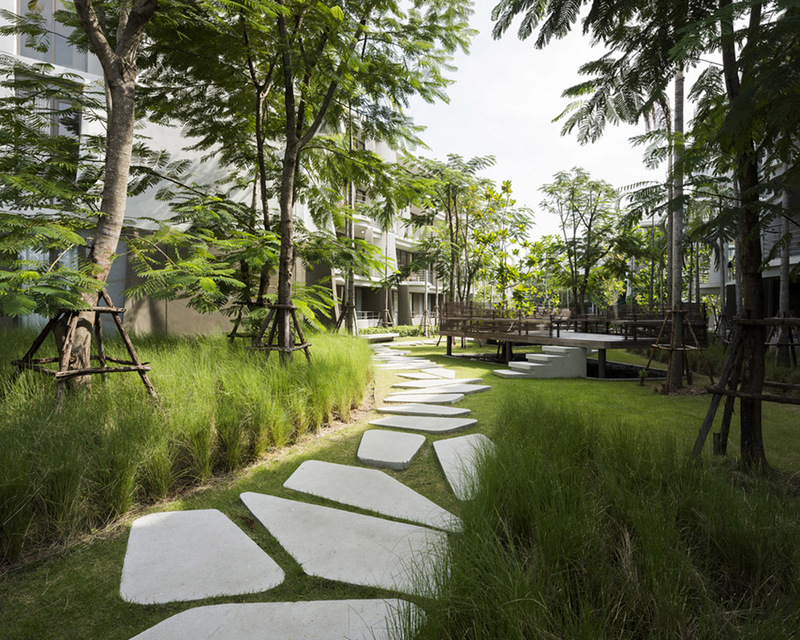 Landscape Architecture: Sanitas Studio Co.,Ltd.